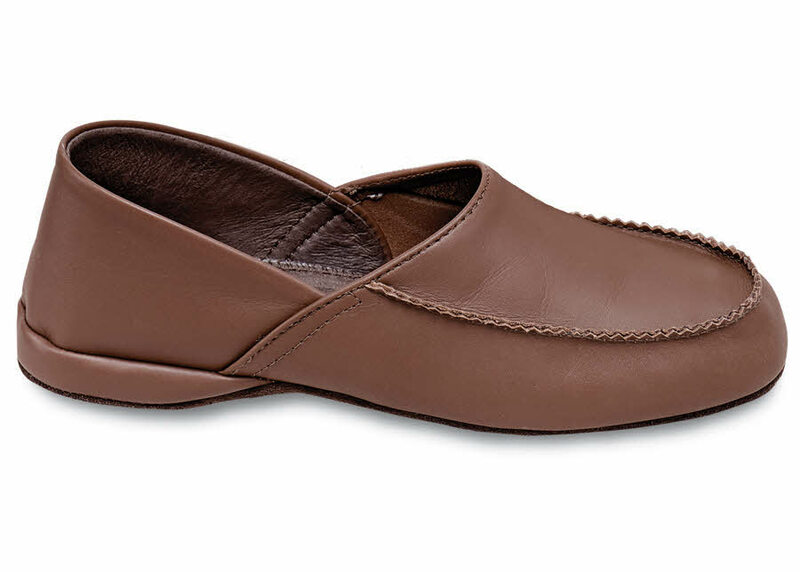 Soft-soled and great to slip into at the end of the day, our ever-popular Hitchcock wide house slipper of pliable, well-cushioned leather is better than ever. 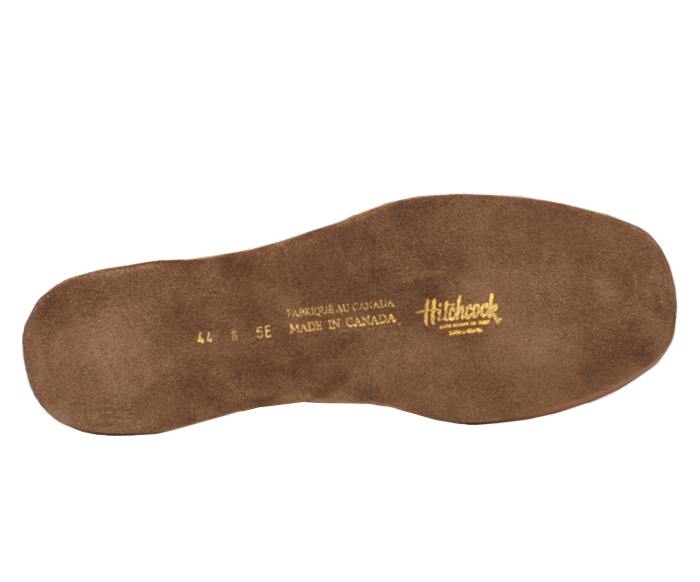 Hand-turned especially for us in a fine Canadian factory, it is made with a padded suede sole. Men's sizes 5-11, 12, 13, 14 and 15 in 3E and 5E; whole sizes 7 to 15 in 6E.